This thermostat operates as a thermal cutout. 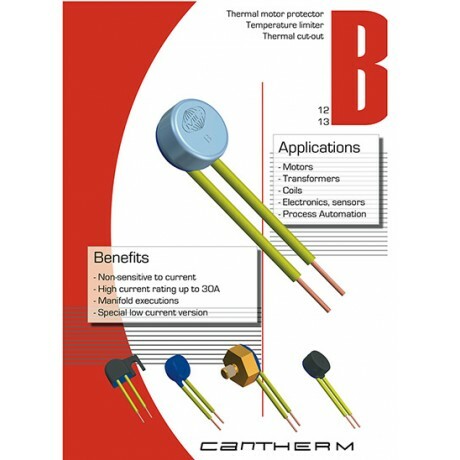 A thermally sensitive bimetal snap-element with double contacts either opens or closes an electrical circuit by switching at a pre-set response temperature. Reset follows automatically after a considerable drop in temperature. NOTE: Additional wires available upon request. The diagram is measured with a thermal control without any insulation in an oil bath. The heating depends on the thermal conduction of the control to the equipment or part which should be protected.